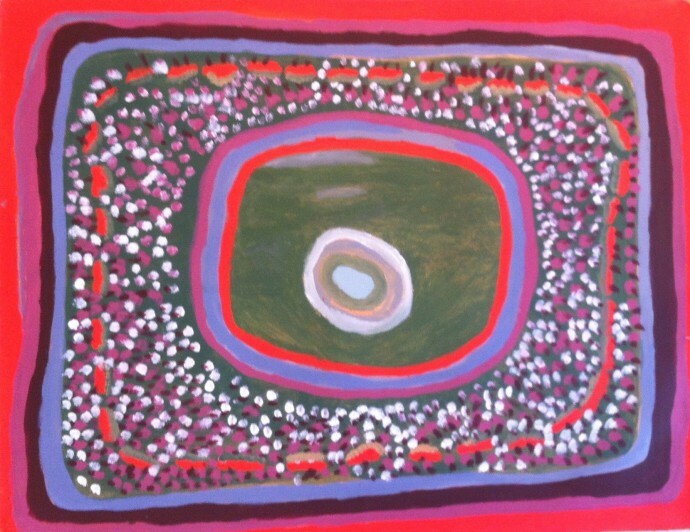 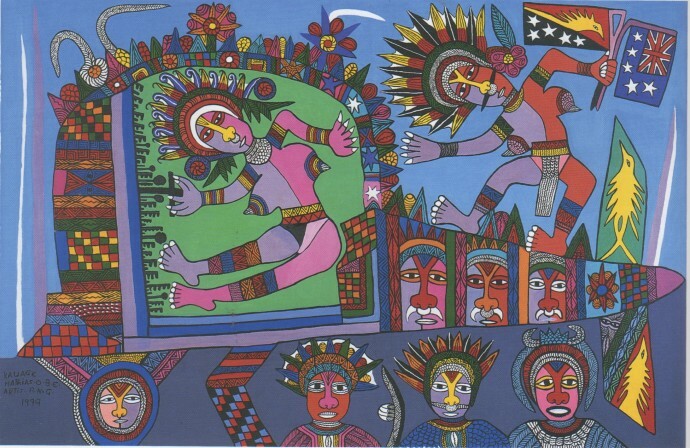 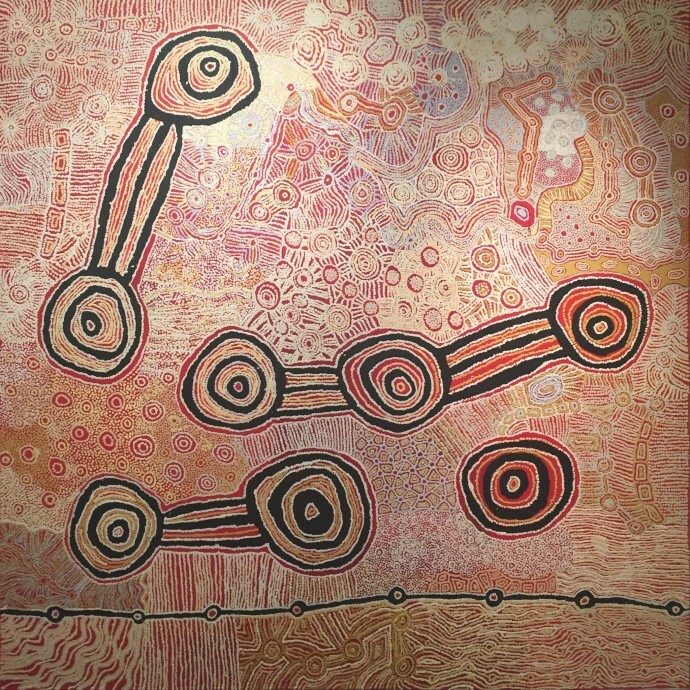 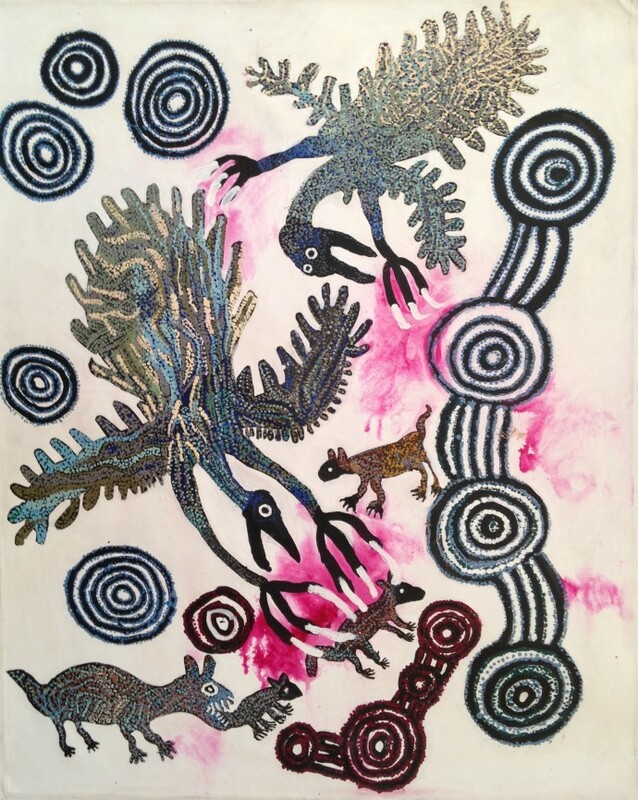 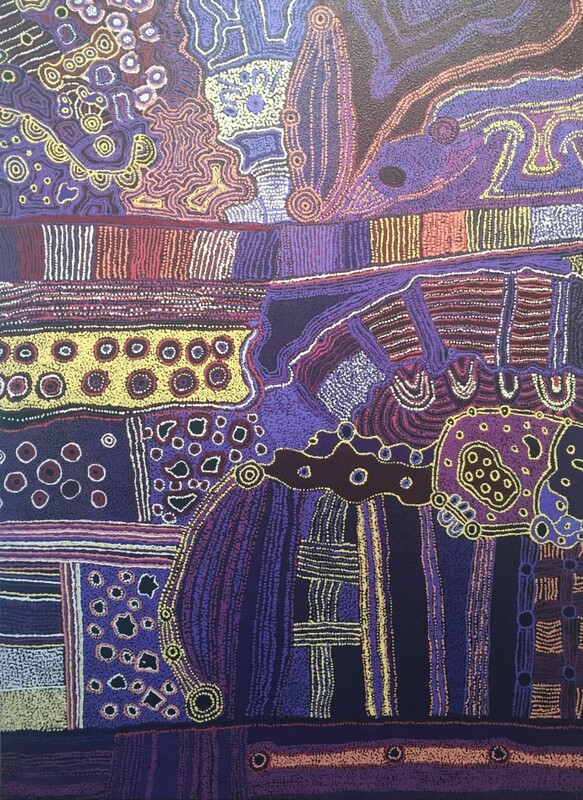 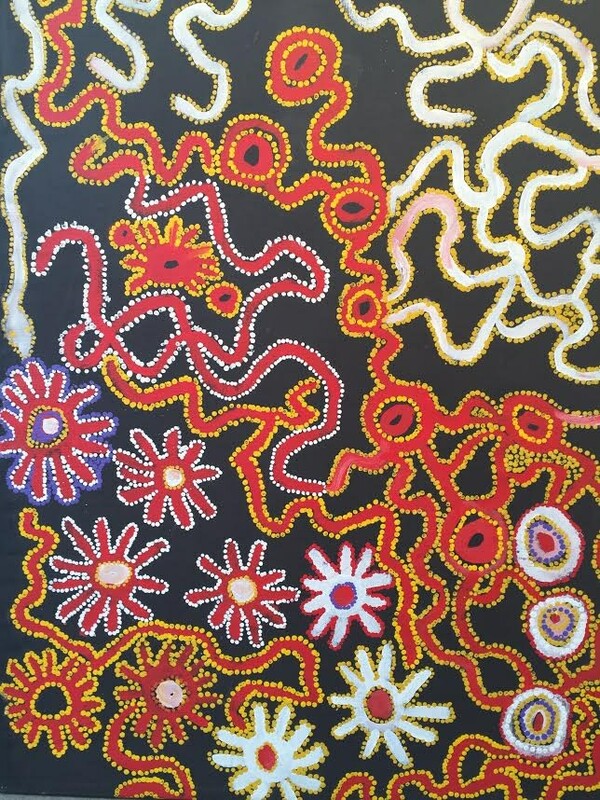 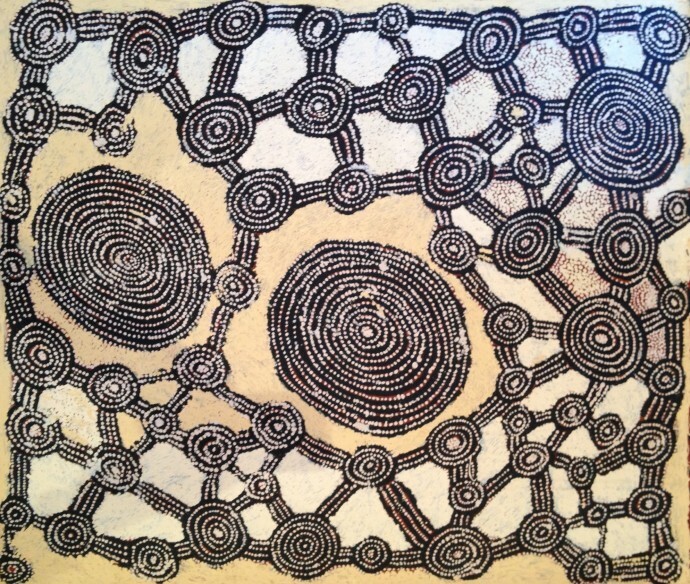 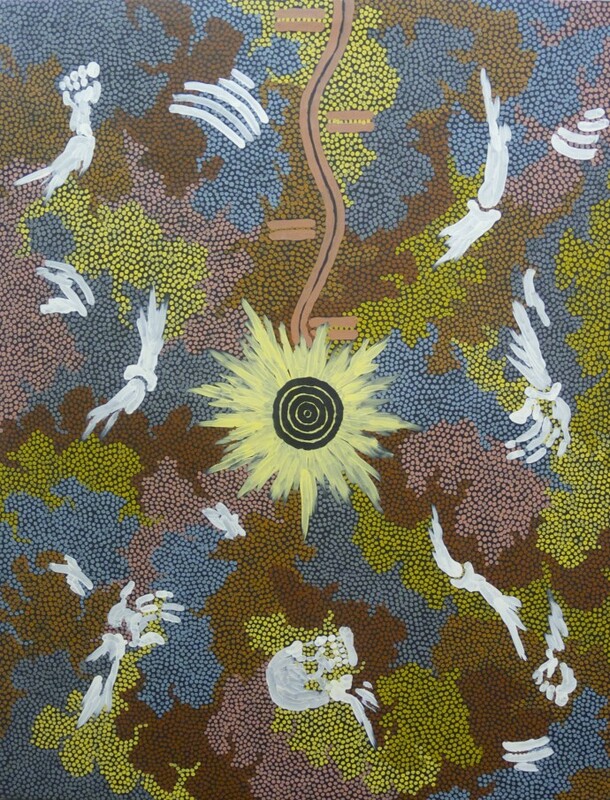 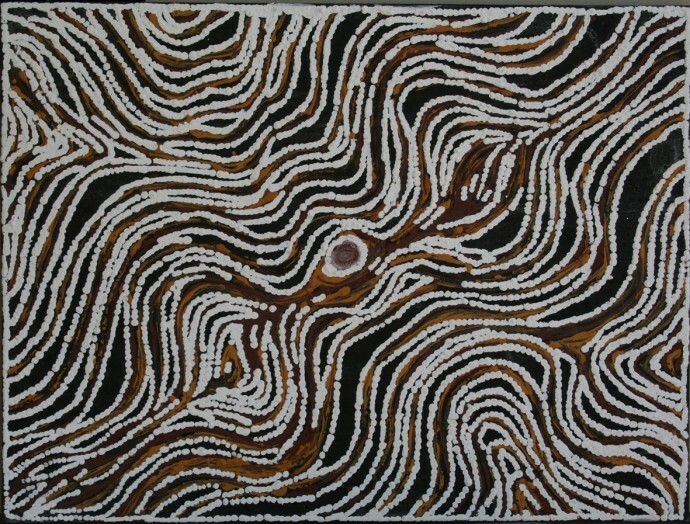 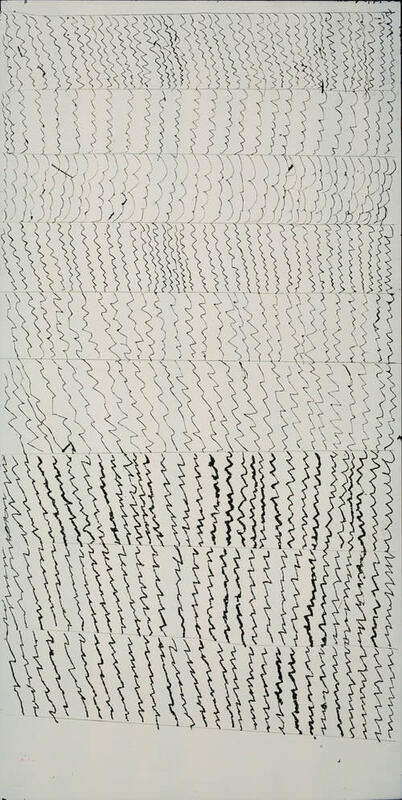 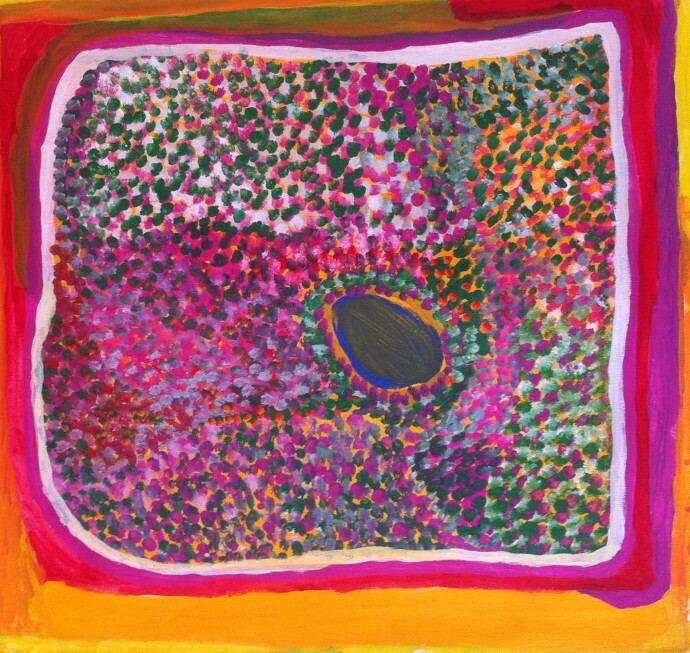 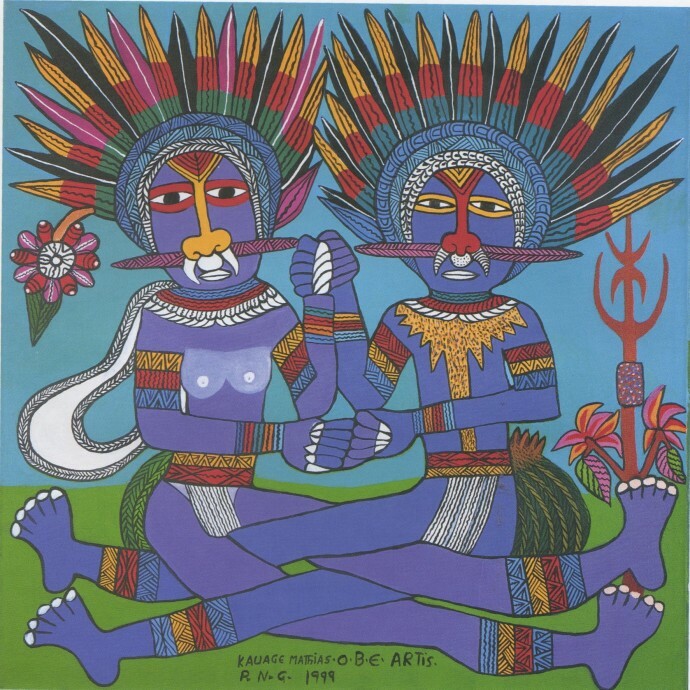 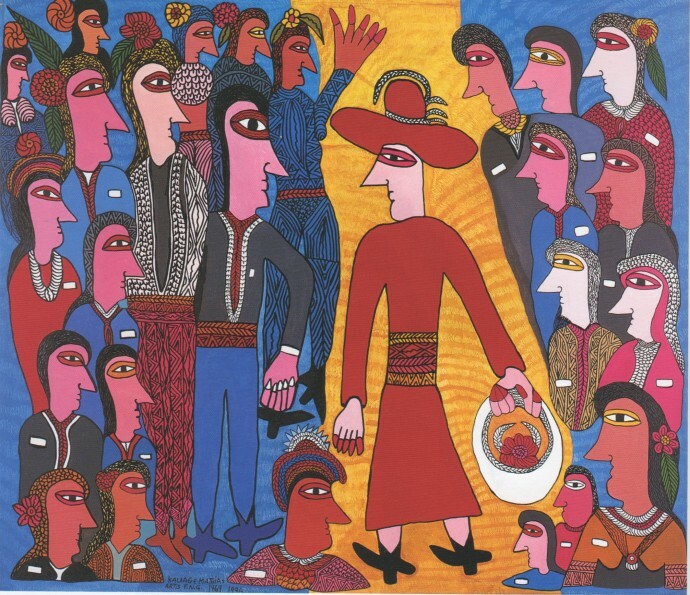 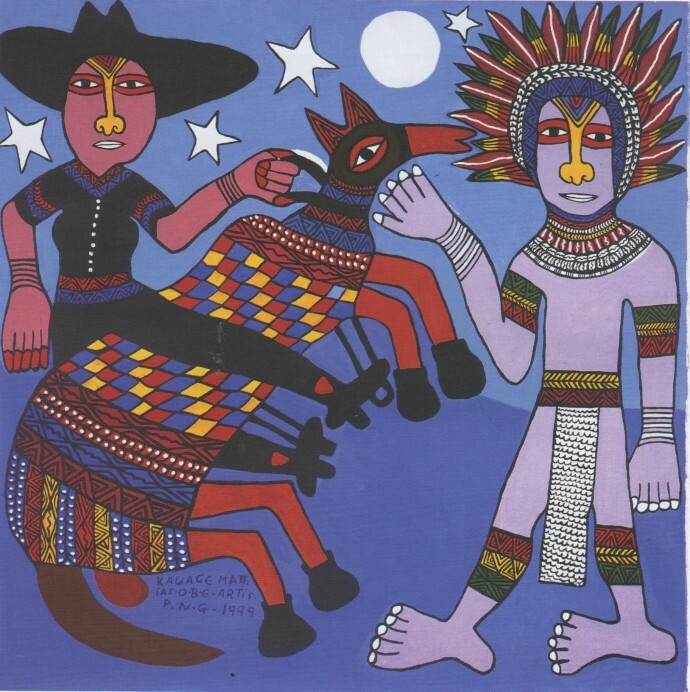 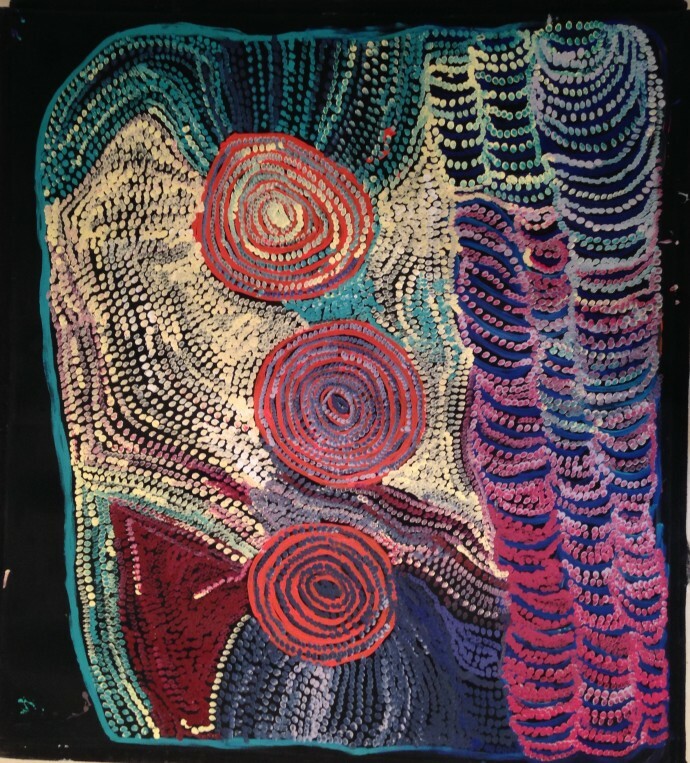 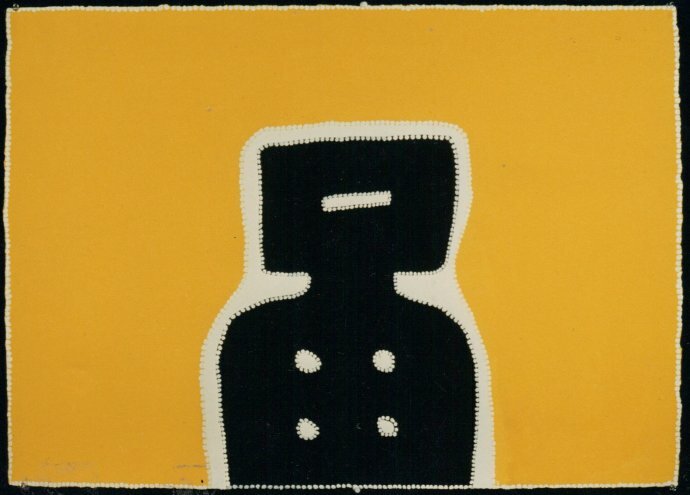 Soon after establishing her first gallery in London in 1988, Australian-born Rebecca Hossack gained a particular reputation for ground-breaking exhibitions of Aboriginal art. 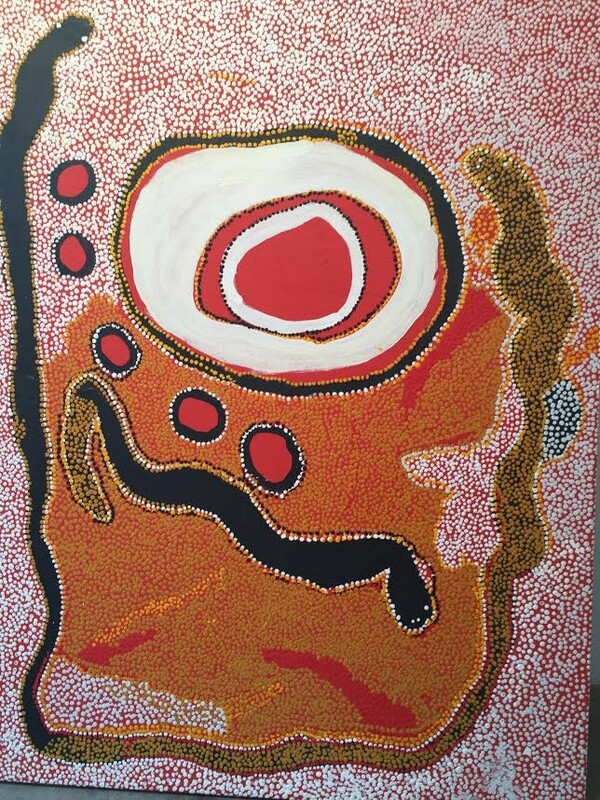 Hers was the first gallery to exhibit Aboriginal art in Europe, and her Conway Street space houses a permanent collection today. 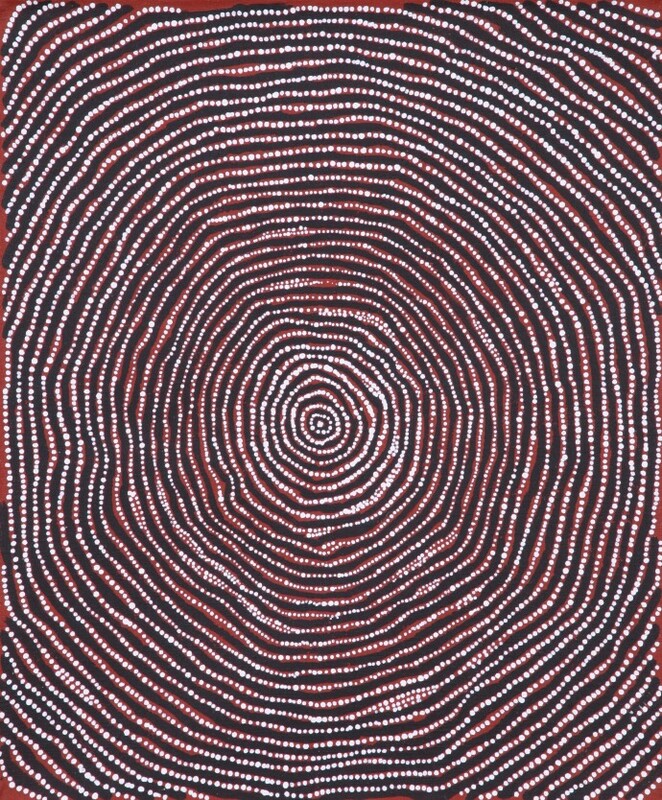 Since the gallery’s inception, Hossack has curated regular Aboriginal exhibitions known as her Songlines Seasons. 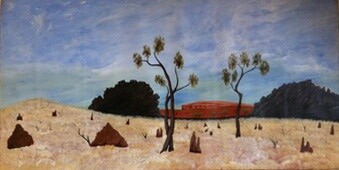 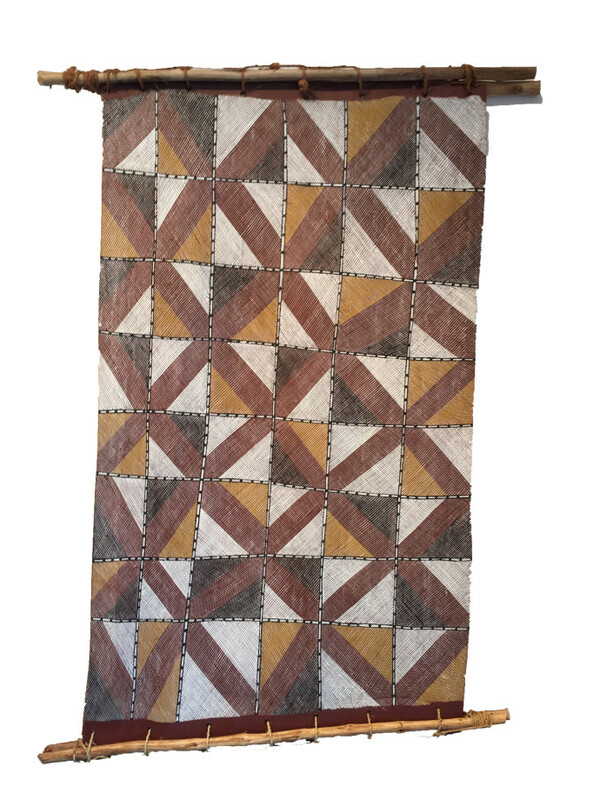 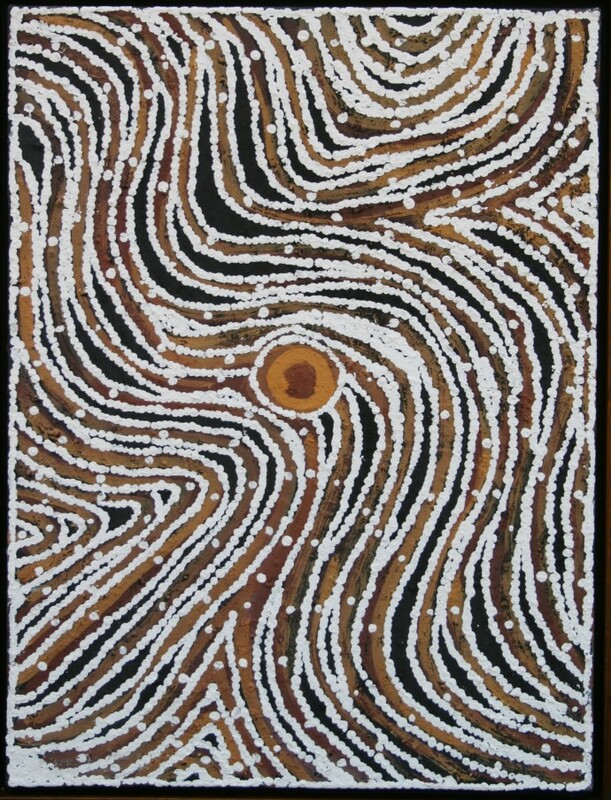 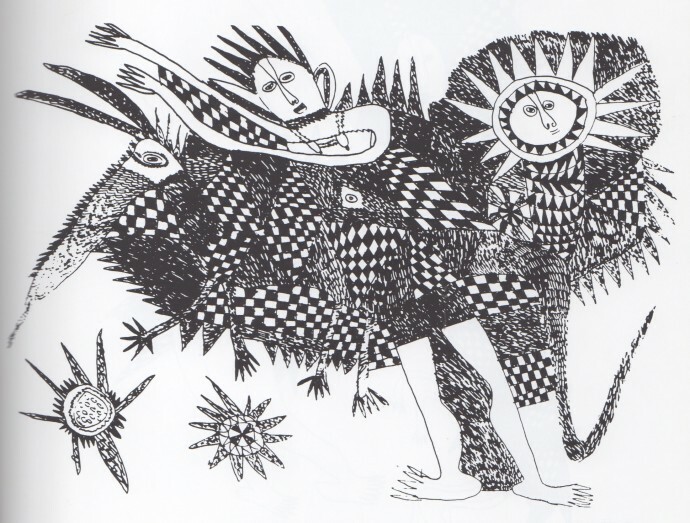 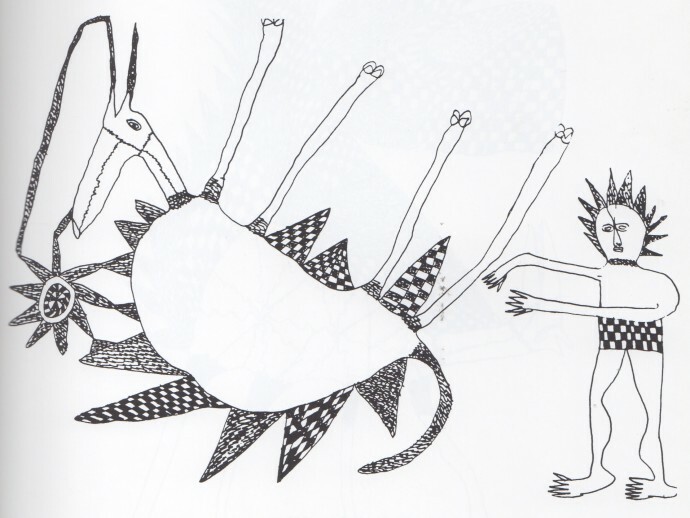 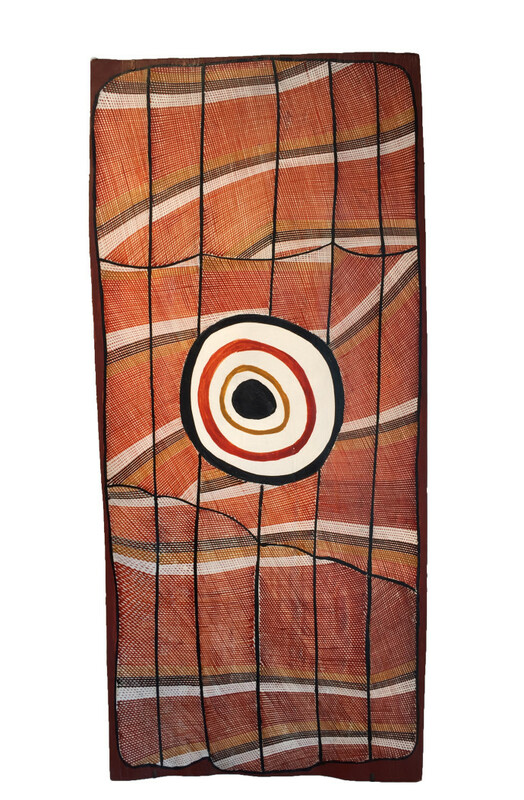 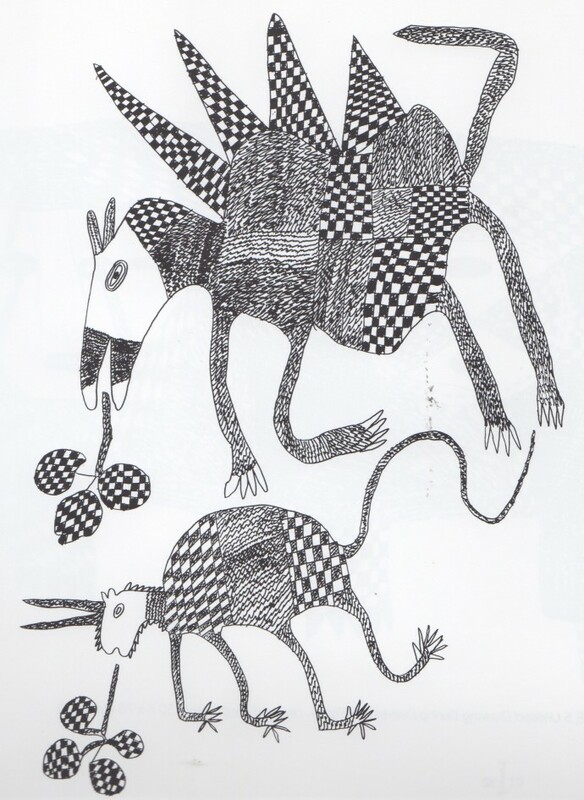 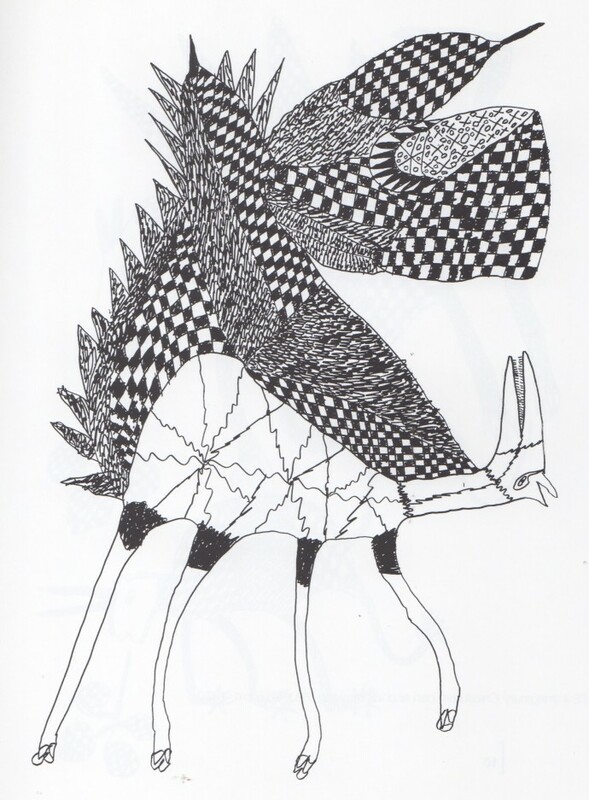 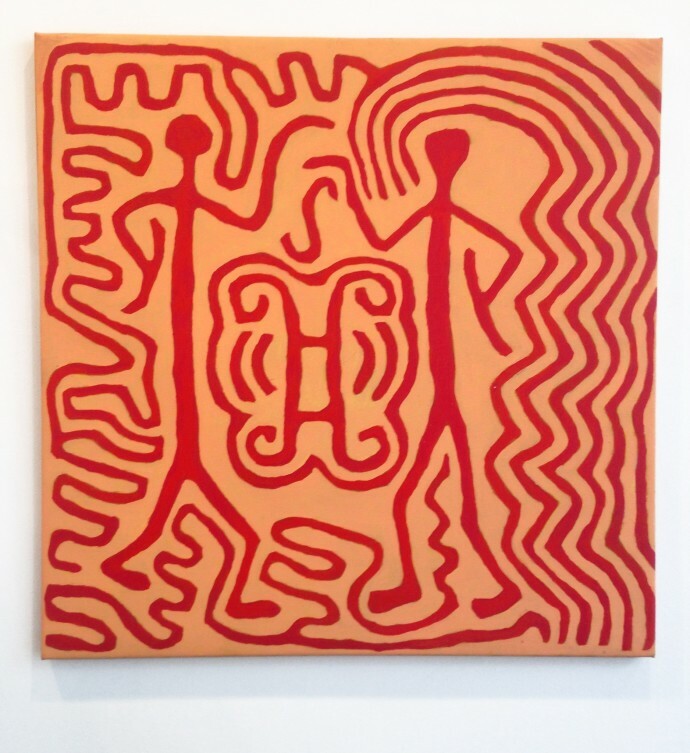 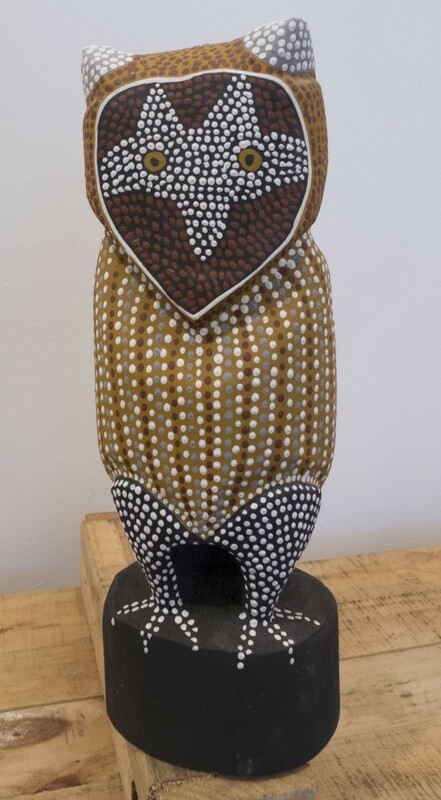 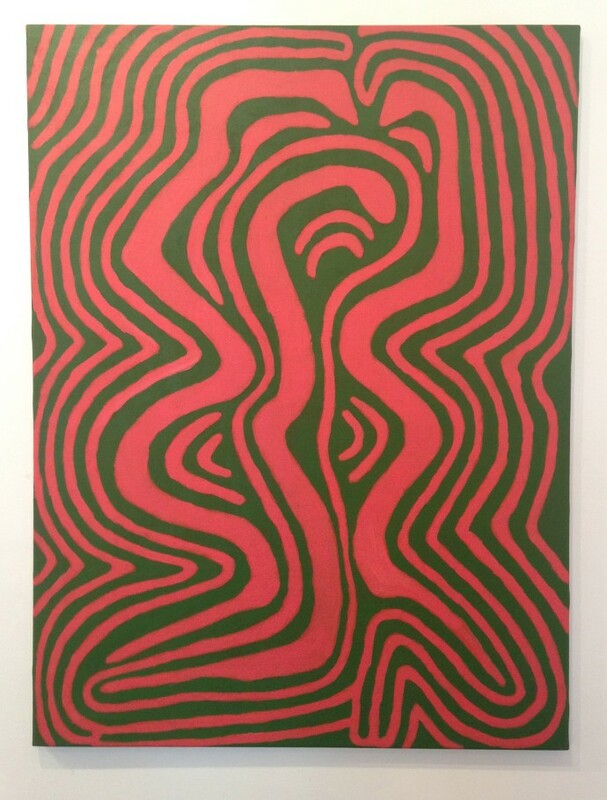 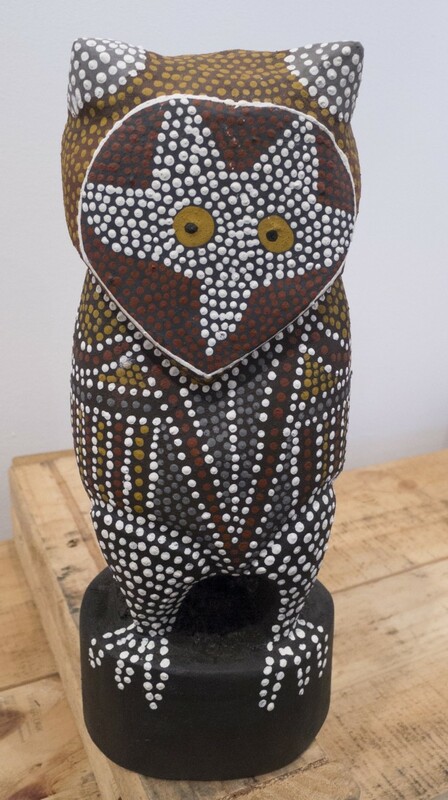 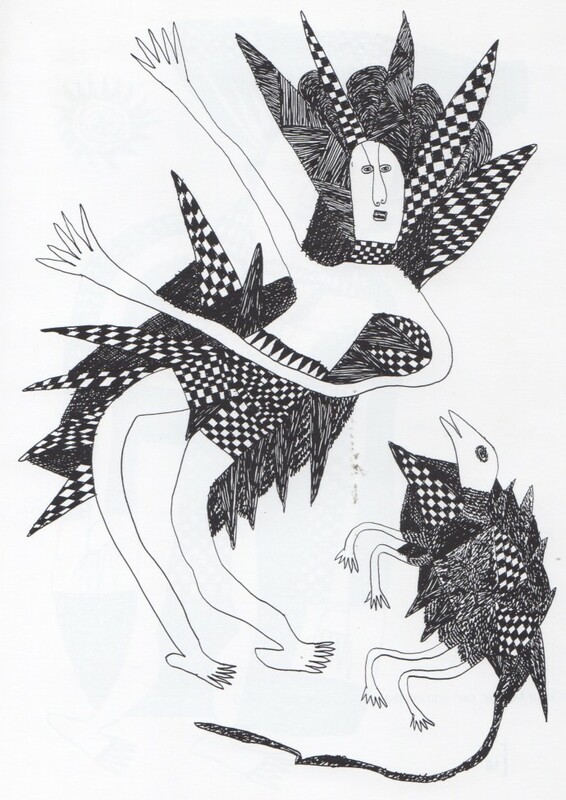 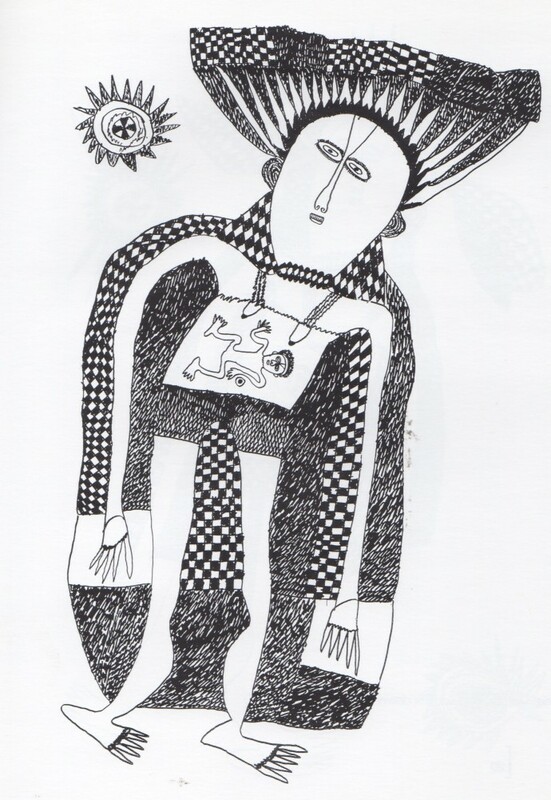 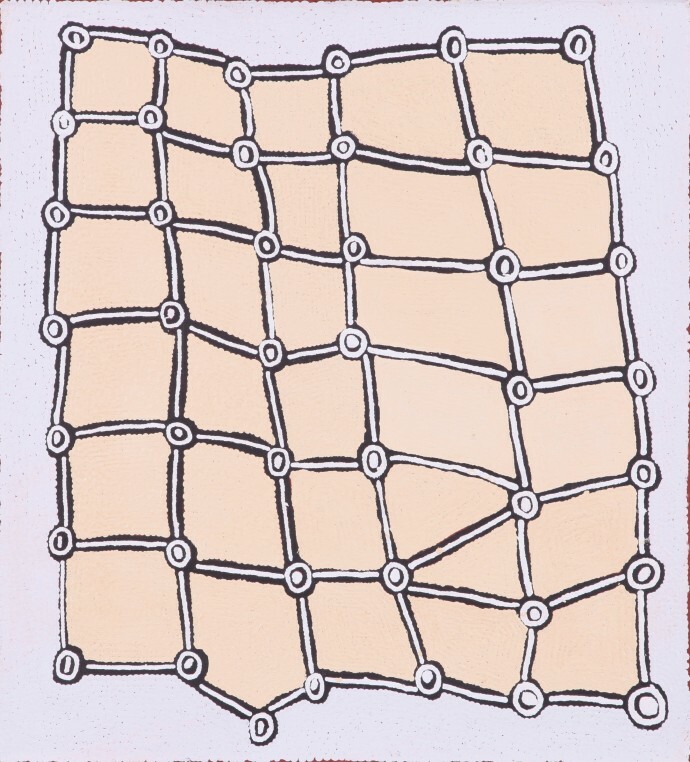 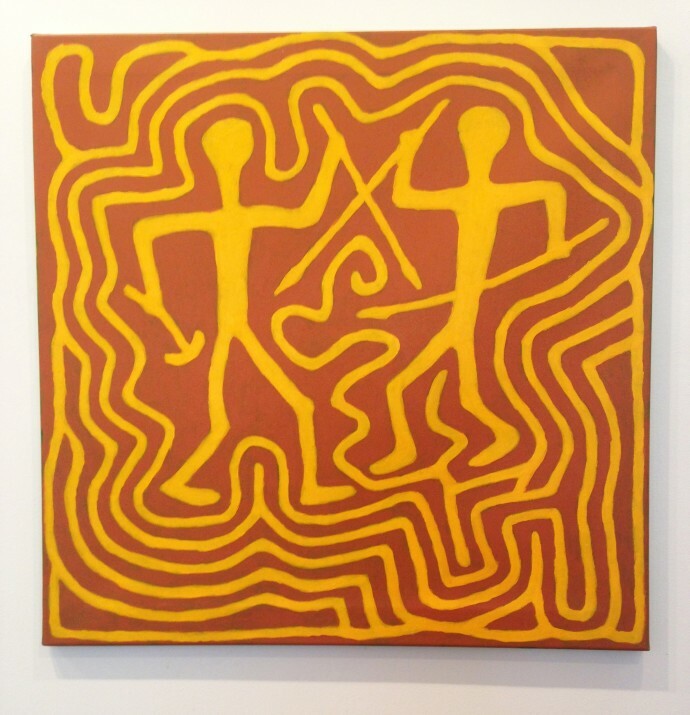 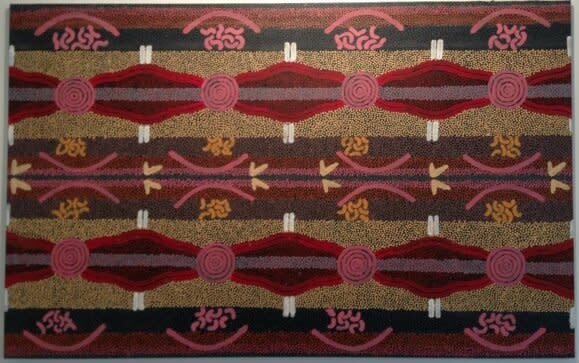 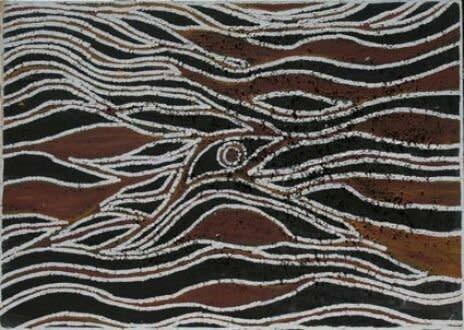 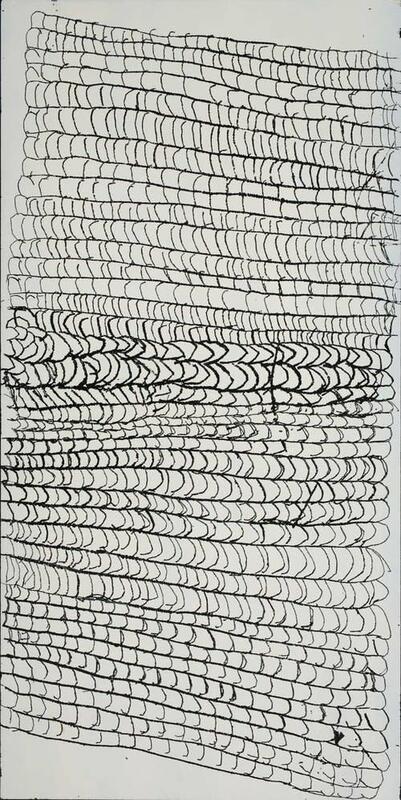 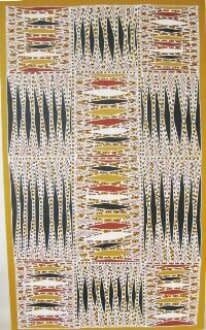 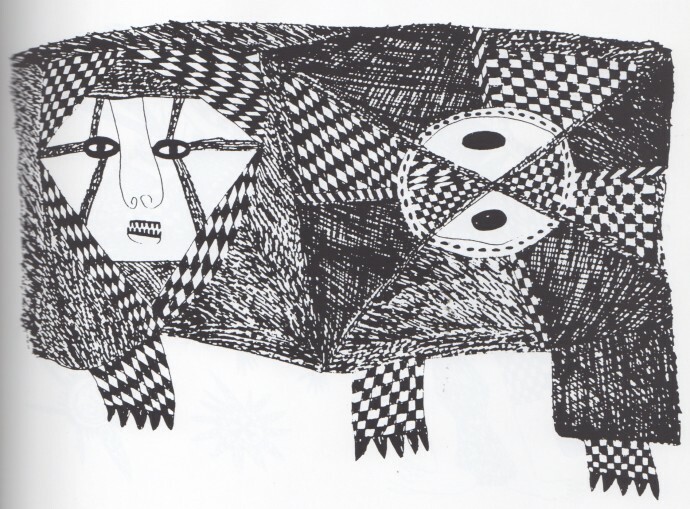 In 1990, she worked with Clifford Possum Tjapaltjarri. 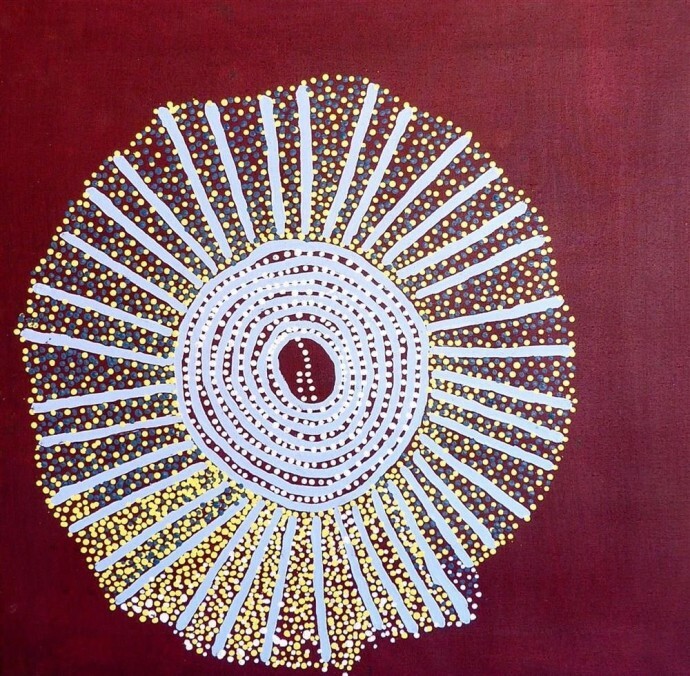 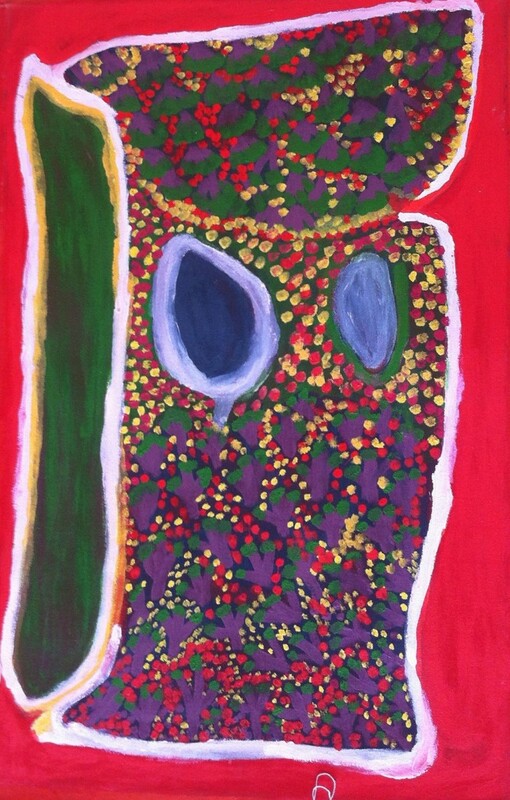 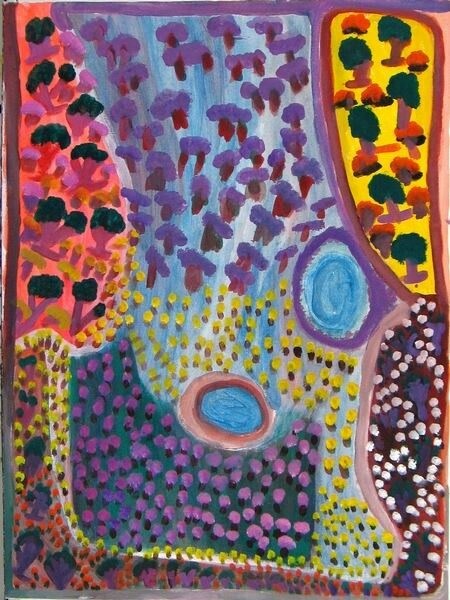 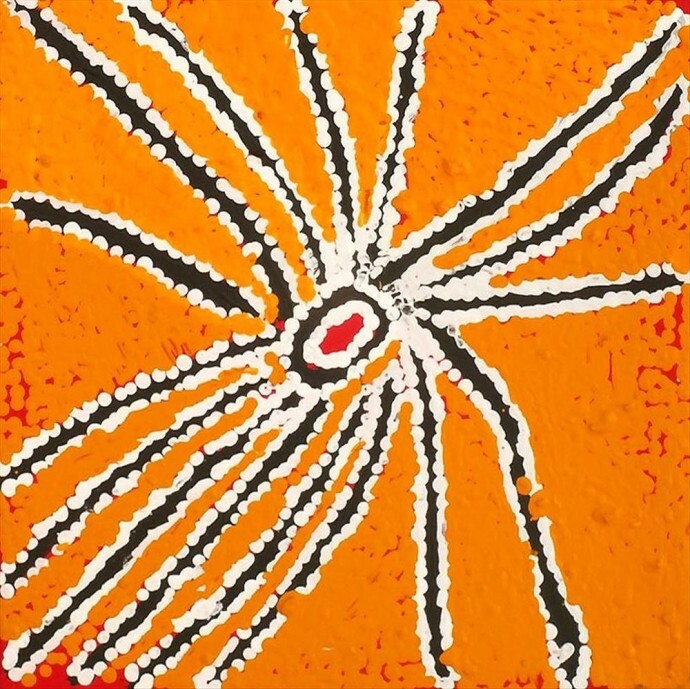 Perhaps the most famous Aboriginal artist, Hossack secured two appointments for him with Her Majesty the Queen, who now has a work by Possum hanging in her private collection. 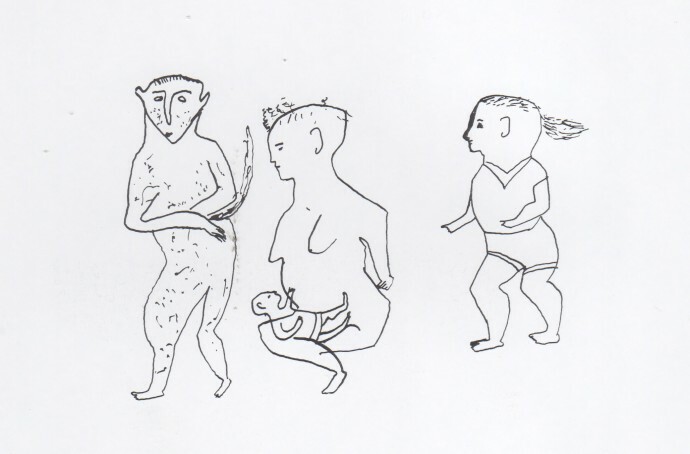 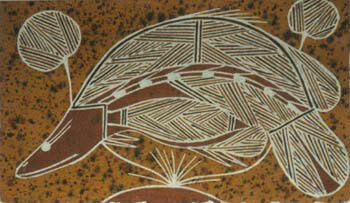 Possum was the first Aboriginal to meet a Royal. 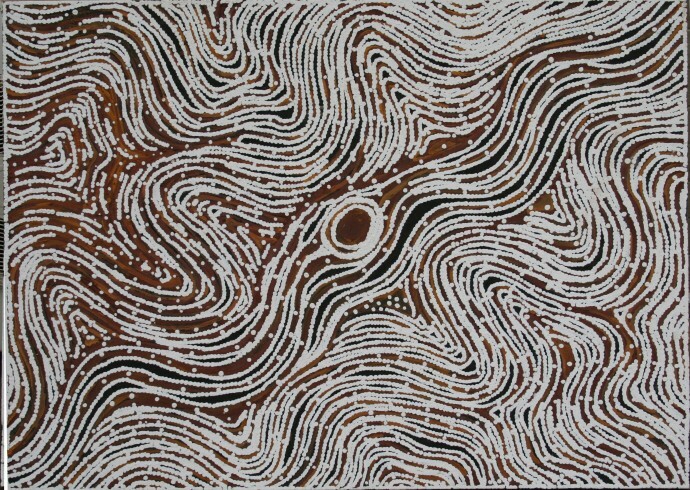 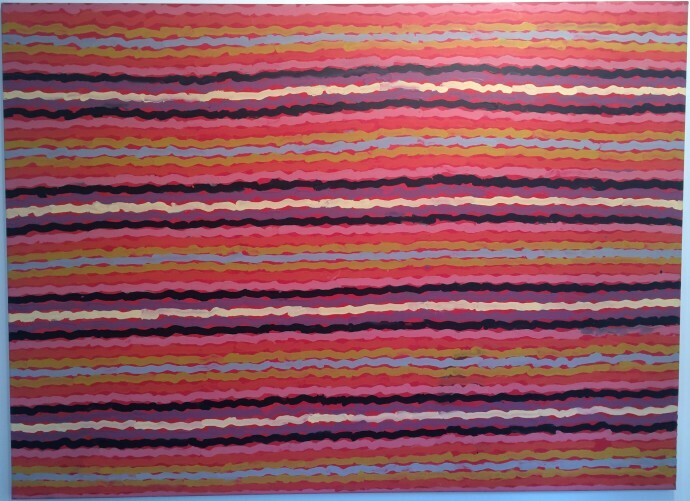 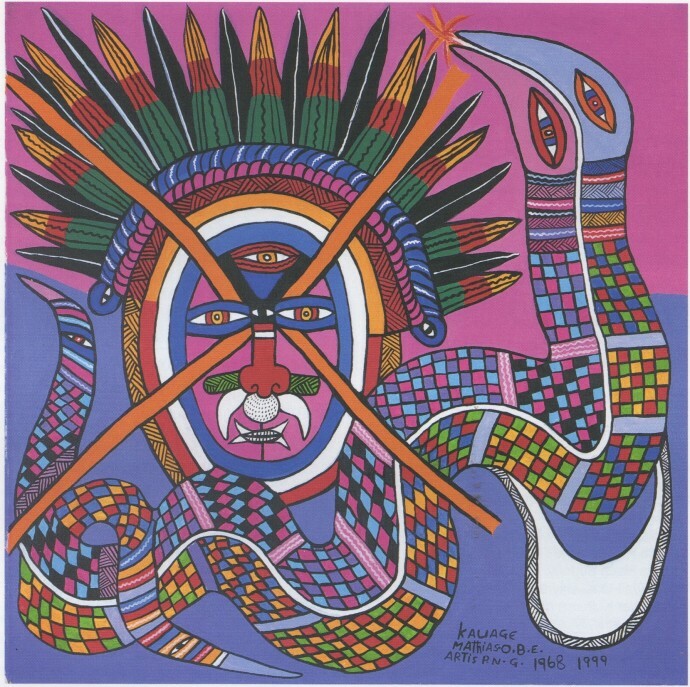 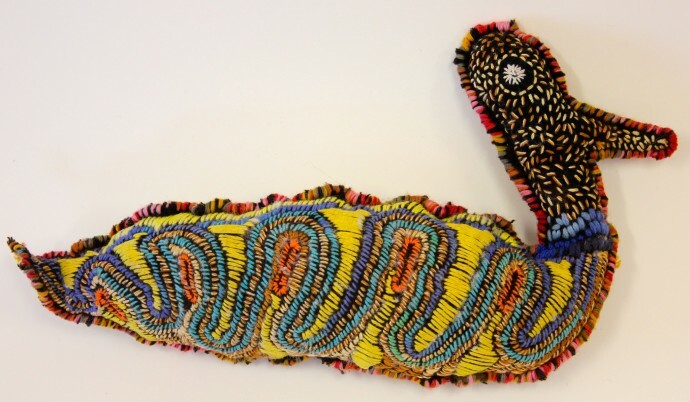 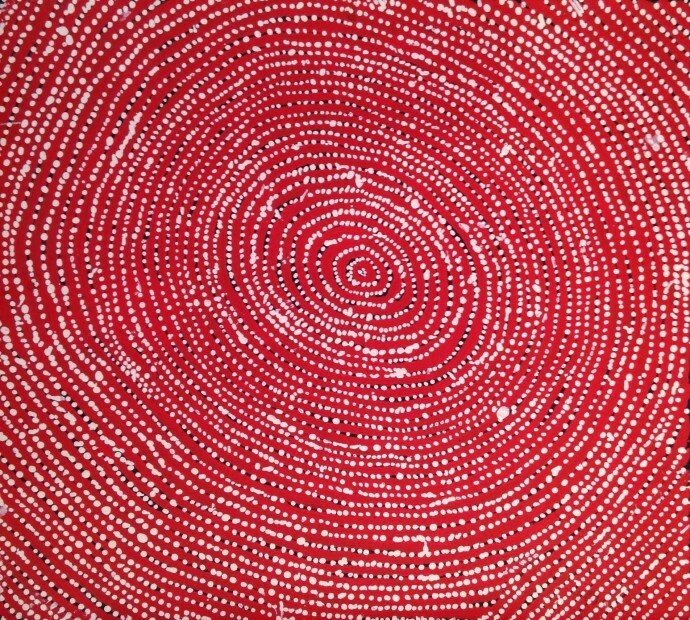 The gallery exhibits a broad spectrum of contemporary Aboriginal artists. 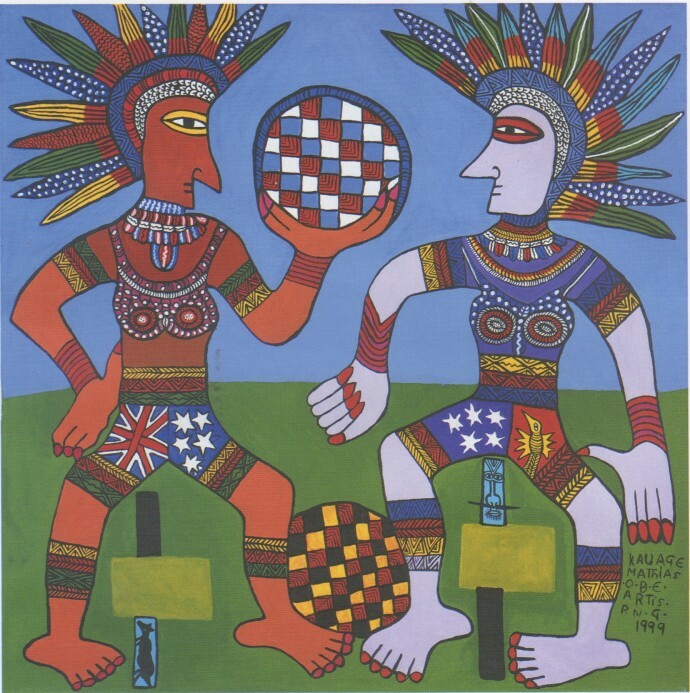 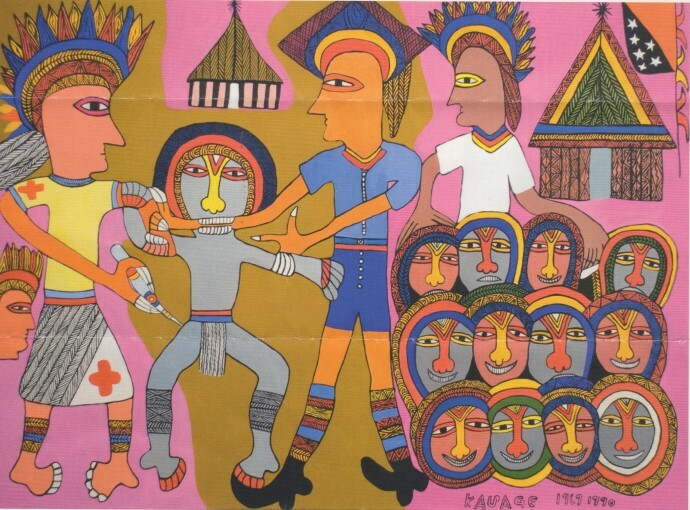 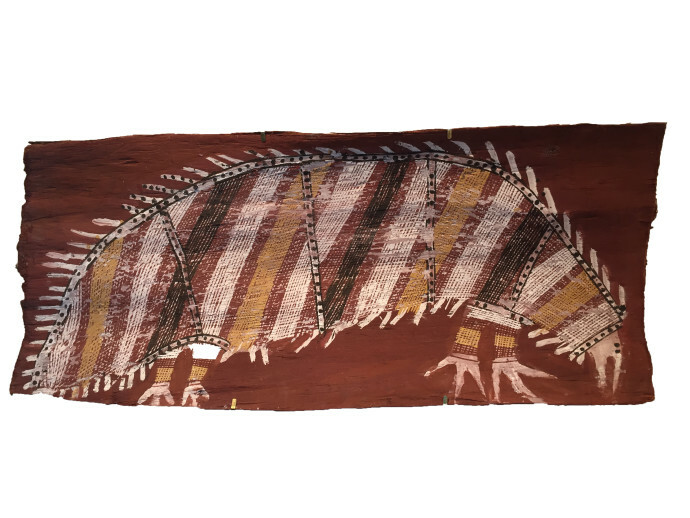 Important paintings from Papunya, Spinifex, Fitzroy Crossing, Lajamanu, Ngukurr, Warmun and many other desert communities across Australia can be seen alongside works from the great bark-painting and wood-carving centres of Arnhem Land, Yirrkala, Maningrida, Tiwi and Elcho Island. 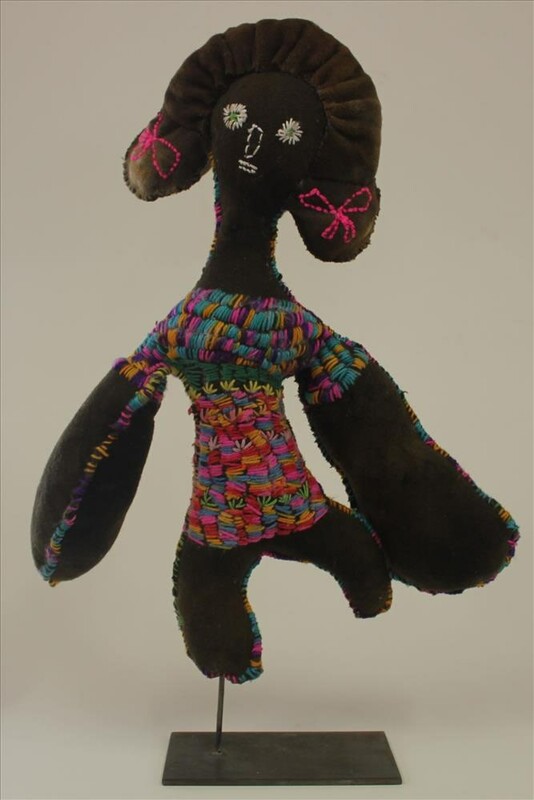 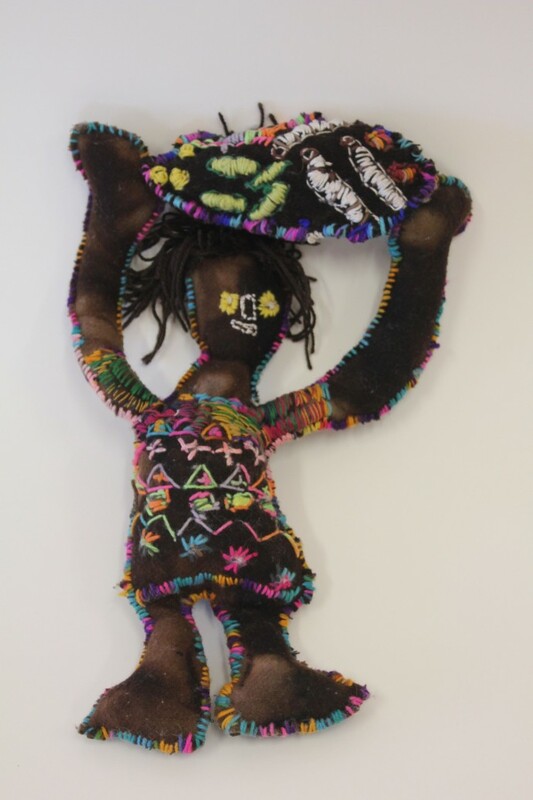 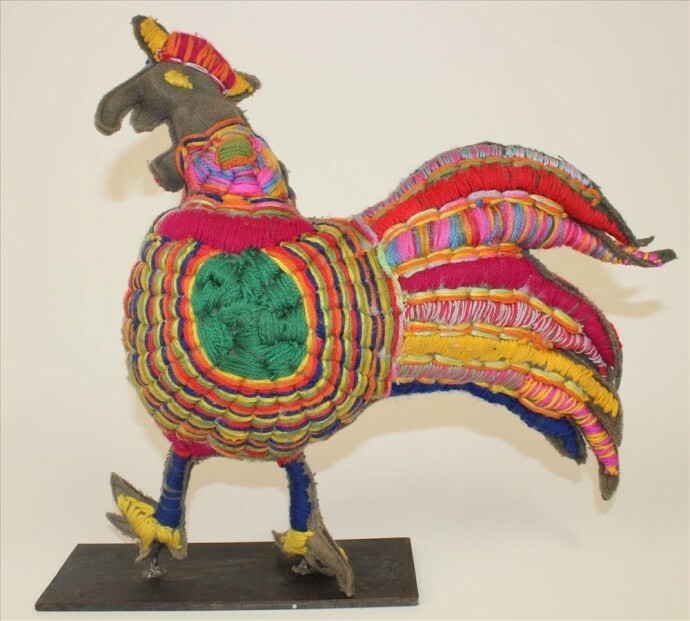 Soft sculptures, made from recycled camp blankets, and fibre works are also included in the display. 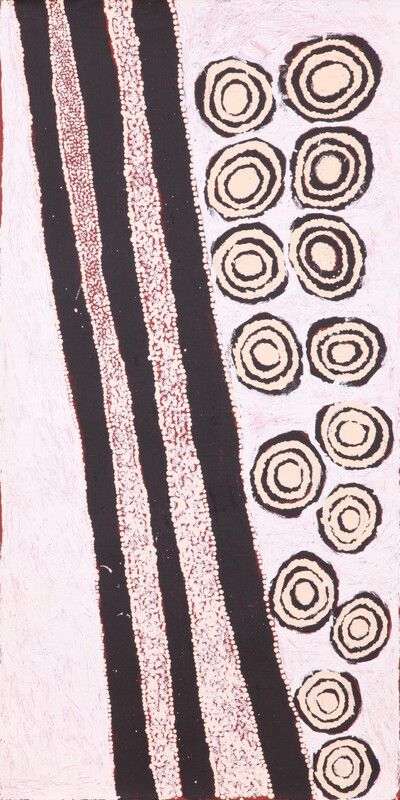 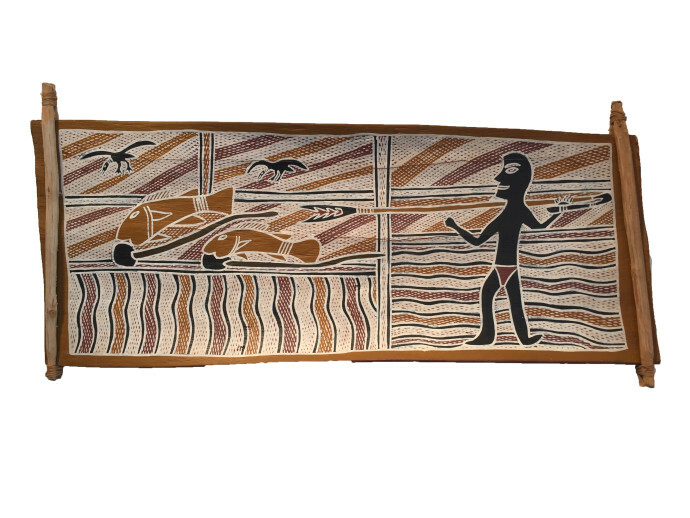 In addition, the gallery holds the largest collection of Aboriginal prints in the world. 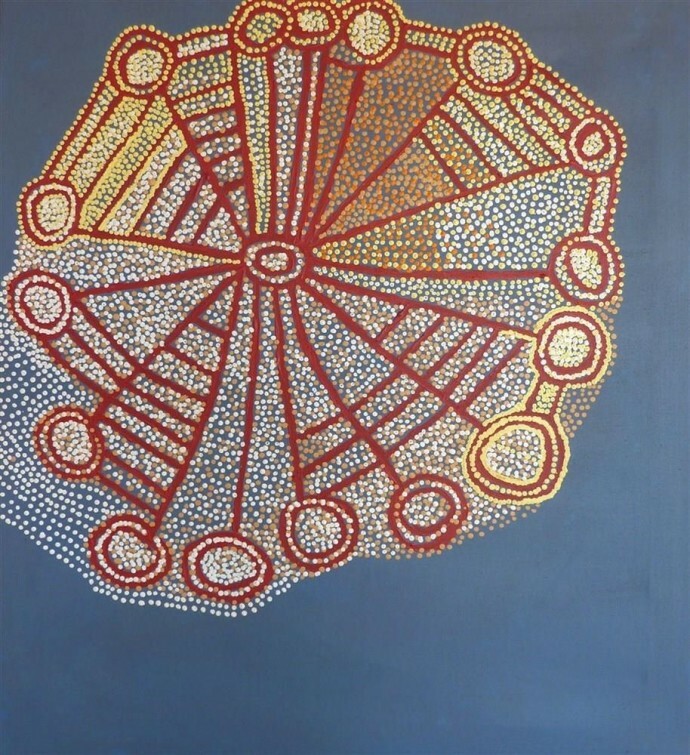 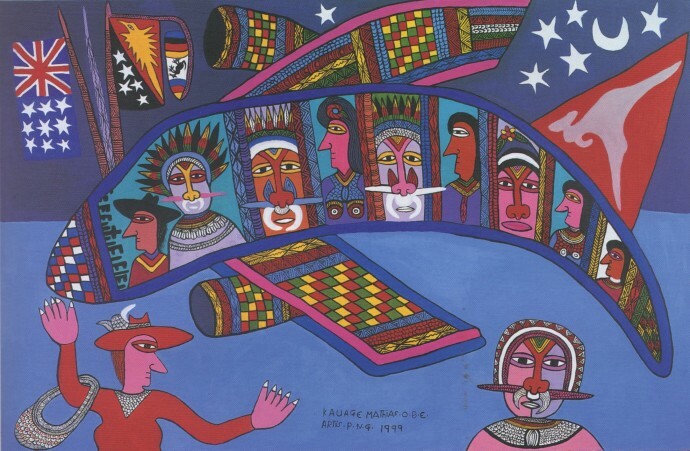 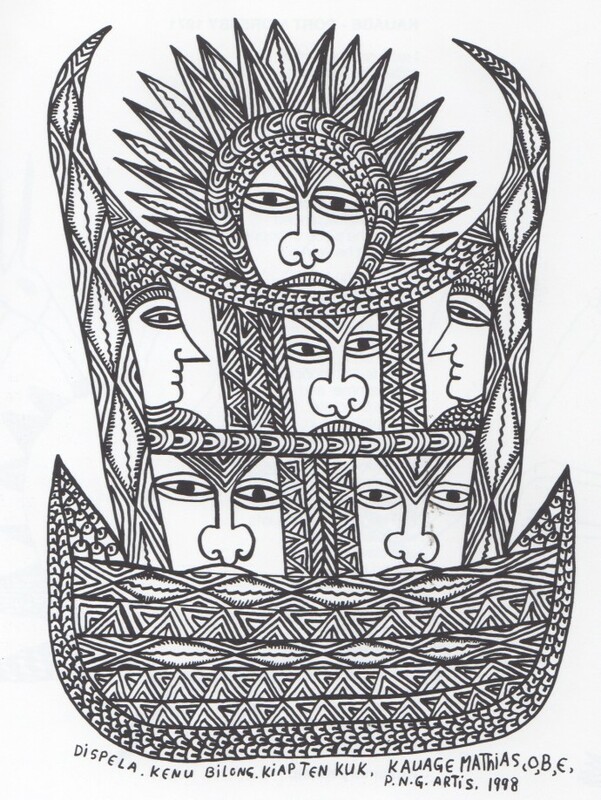 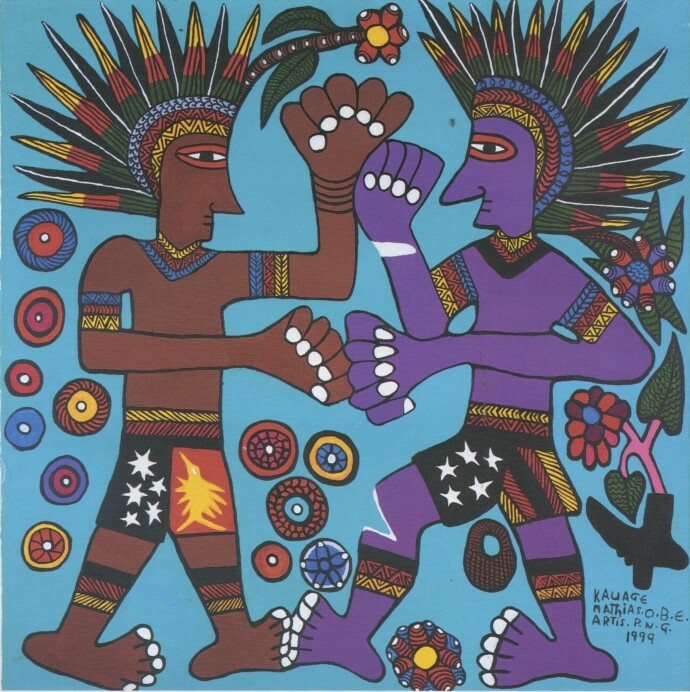 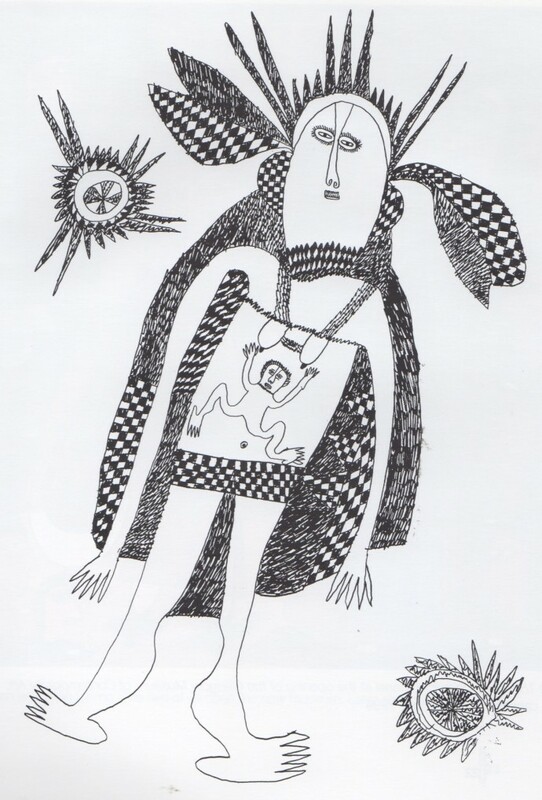 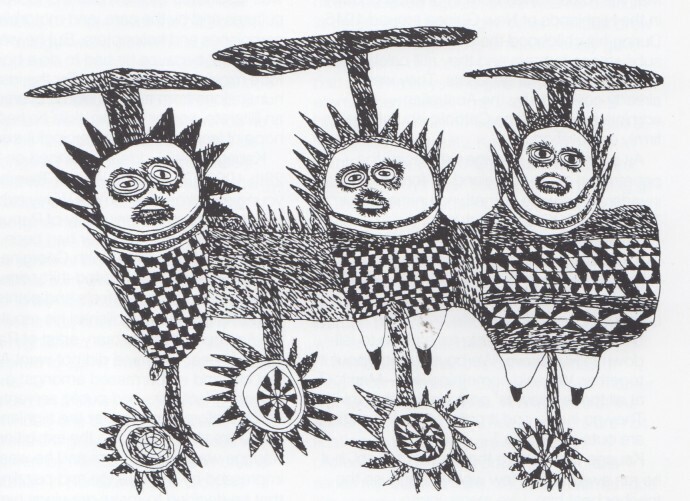 Between 1994 and 1998, Hossack served as the Australian Cultural Attaché to the Australian High Commission in London, initiating literary links between Australian and British writers and organising a series of exhibitions of Aboriginal art in London. 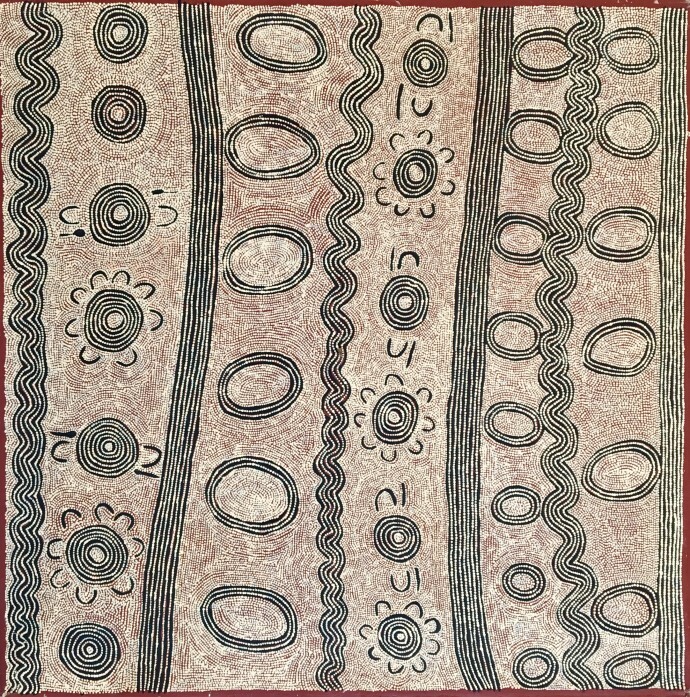 She writes regularly in the UK press, contributing to articles on Aboriginal art in both the Macmillan Dictionary of Art and the Oxford History of Western Art. 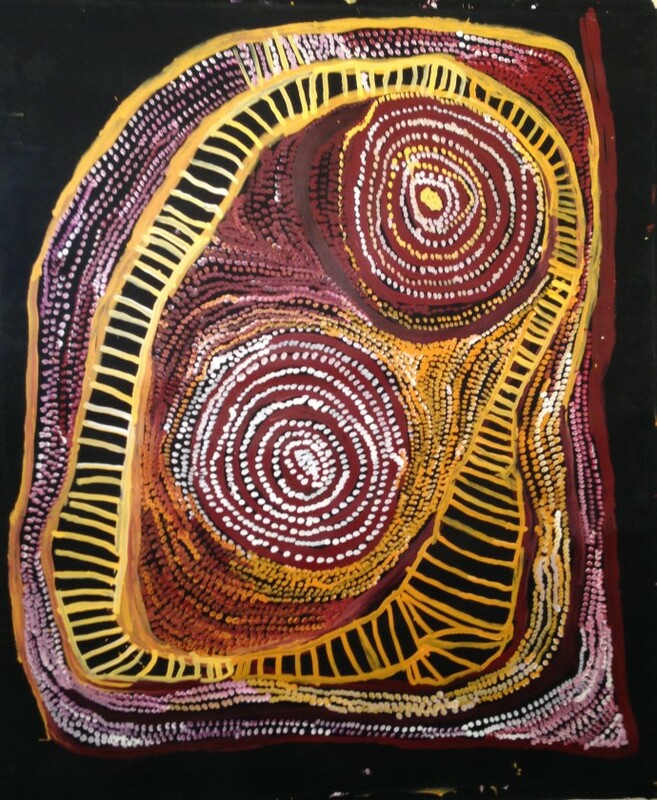 Hossack is also an international lecturer on Aboriginal art for NADFAS, the National Association of Decorative and Fine Art Societies. 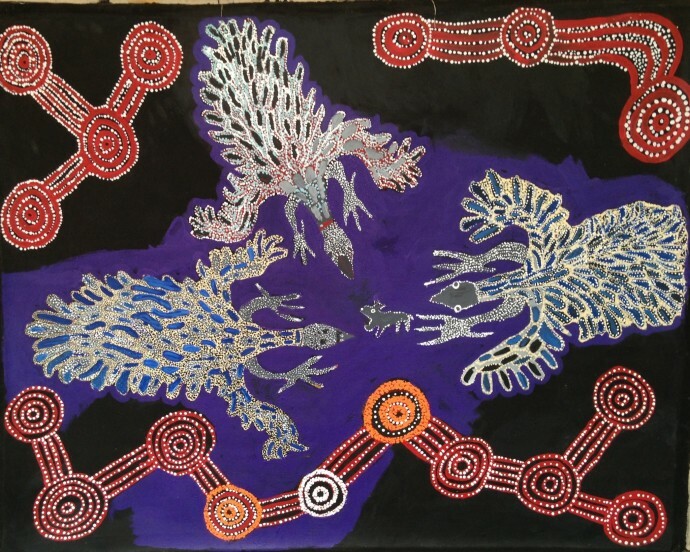 This international organisation has around 450 local societies and 80,000 members across the UK, Europe, Australia and New Zealand. 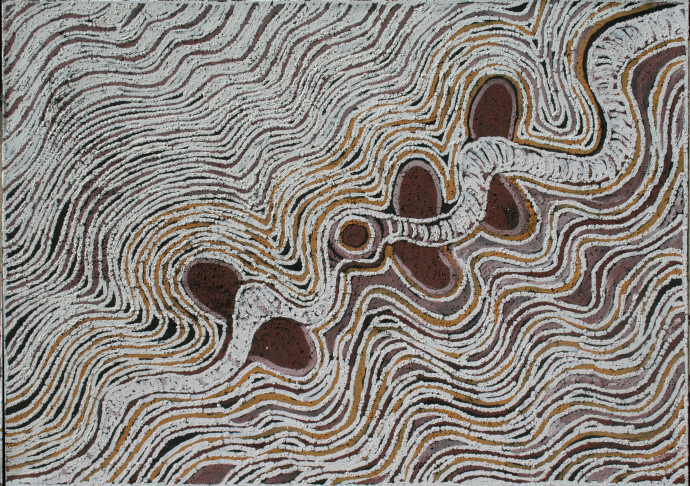 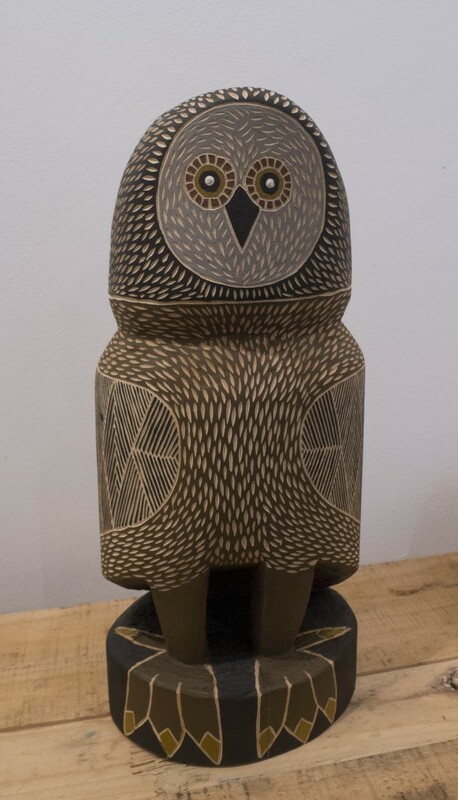 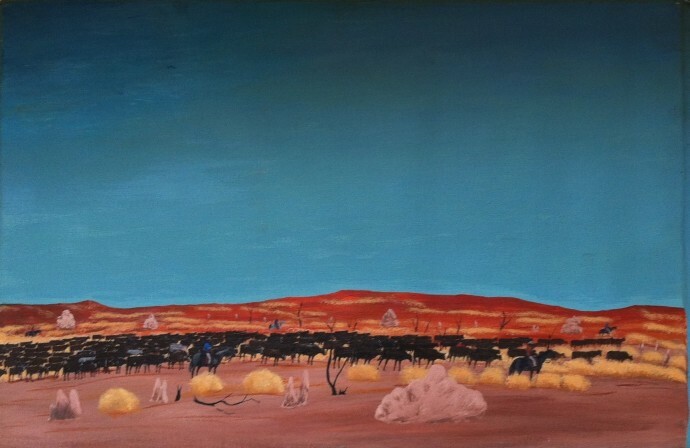 Hossack works closely with public galleries and institutions to promote Aboriginal art, such as the Barbican, the British Museum and the Victoria and Albert Museum in London and the De Young Museum in San Francisco. 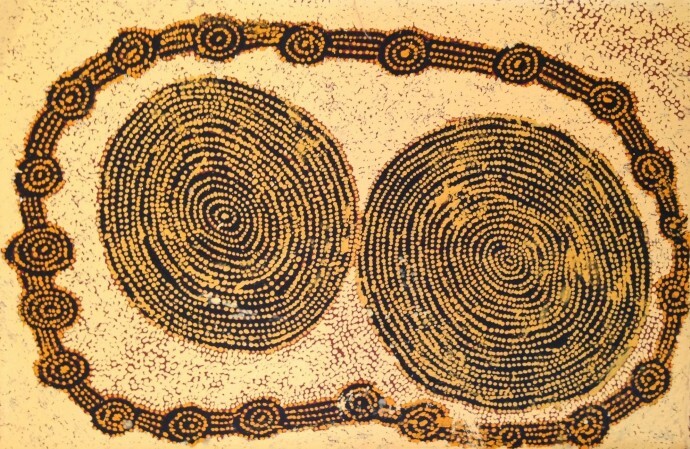 She also campaigns to preserve rock art in Western Australia’s Burrup Peninsula, which dates back over 20,000 years.